This 30" crinkle silk rose swag comes in many colors. 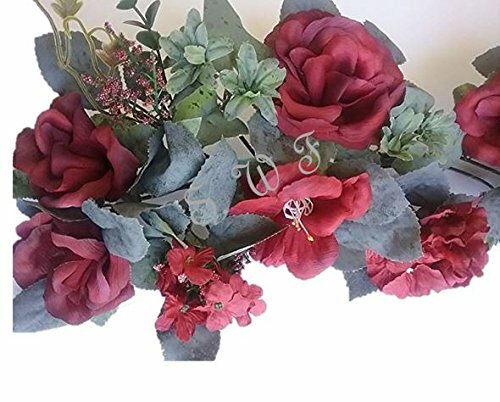 Beautiful and high quality, it is great for all occasions, wedding, home, office and party decor. View More In Decorative Swags. If you have any questions about this product by Wedding Flowers, contact us by completing and submitting the form below. If you are looking for a specif part number, please include it with your message.